Paris is one of those places everyone should see at least once in their life. It’s an amazing city. The people, culture, and food are unlike any other city in the world. But it can be a bit overwhelming if you’ve never been there before. This Paris survival guide is a collection of our best tips for visiting Paris. Hopefully it will give you an idea of what to expect when you arrive and make your trip a bit more enjoyable. Like other big cities, Paris is divided up into neighborhoods. When you’re researching things to do, most guides will tell you the name of the neighborhood an attraction is located in. For example, some of the popular neighborhoods are Saint Germain, Le Marais, and the Latin Quarter. Image courtesy of ThePromenader CC-BY-SA-3.0 via Wikimedia Commons. Paris is a diverse city with residents from all around the world. Most people are friendly and will be happy to interact with you. Some may seem rushed or in a hurry, but in reality Parisians are very laid back. They love to take their time to appreciate the finer things in life. In the busy summer tourist season when Paris becomes over-crowded with visitors, traffic is congested and lines run long. As a result, some people might get a bit annoyed with tourists. But all you have to do is learn a few French phrases and respect their customs, and Parisians will warm right up to you. You’re going to meet lots of interesting people in shops and on the streets, and it might be tempting to snap a quick picture of them. But some people might get offended if you take their picture, so it’s best to ask permission first. This actually happened to us on our last trip to Paris. We were crossing a bridge near Notre Dame and saw a man playing the accordion, so we stopped for a second to listen. But when he saw us, he stopped abruptly and said “can I help you?” Just then, another tourist stopped to take a picture of him. As soon as he saw the camera, he gave the guy a middle finger and told him to screw off! Of course that’s not a common reaction, and most people don’t mind being the subject of photographs. But it never hurts to ask permission first. Paris has some of the best food in the world. There’s a cafe on almost every corner so you’ll never run out of great places to eat. It’s the only city we’ve been to where we can honestly say that every single meal was amazing. 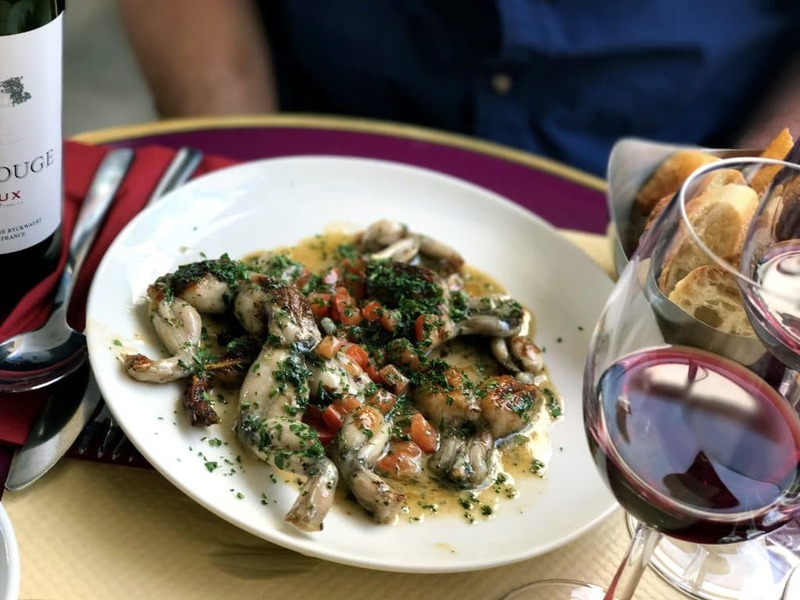 Frog legs are a traditional French delicacy. 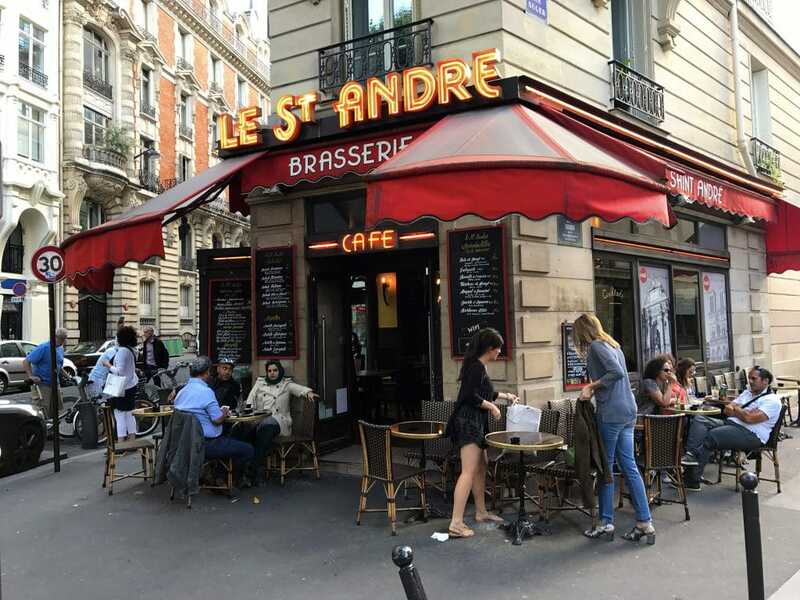 To get a real taste of Paris, spend a day hopping from cafe to cafe for small bites to eat. We did, and it ended up being one of the most enjoyable days of our entire trip. 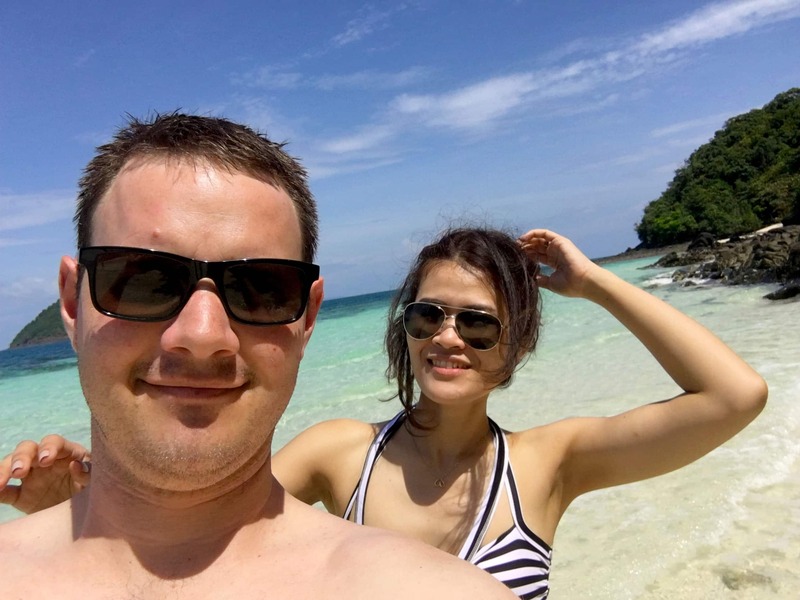 It was a great way to relax and escape the crowds and we were able to sample a lot of different French foods. Most cafes have large menus with both French and international food. Pretty much every cafe also sells coffee, beer, and wine as well. And the prices are surprisingly reasonable. Unlike the United States, in Paris cafes you don’t have to request a table from the host. Just pick a table that looks open and sit down. The waiter will come to your table with menus. Also, it’s not considered rude to flag down a waiter when you’re ready to order or pay the check. It’s common for Parisians to spend an hour or more at a cafe, so the servers don’t rush you at all. They expect you to get their attention if you need something. Keep in mind that it’s not illegal to smoke cigarettes at outdoor tables in France (and much of Europe). If you’re sensitive to the smell, you might want to pick your neighbors carefully or find a table indoors. 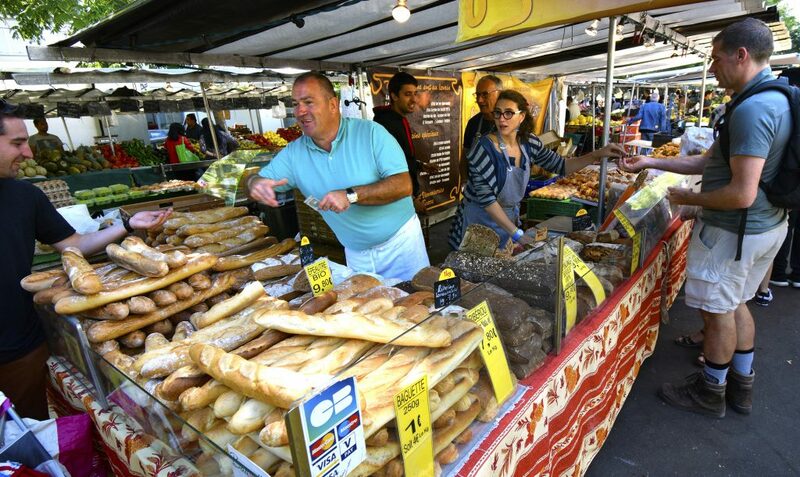 If you plan on cooking meals yourself or want to get some snacks for a picnic, there are plenty of grocery stores around Paris. 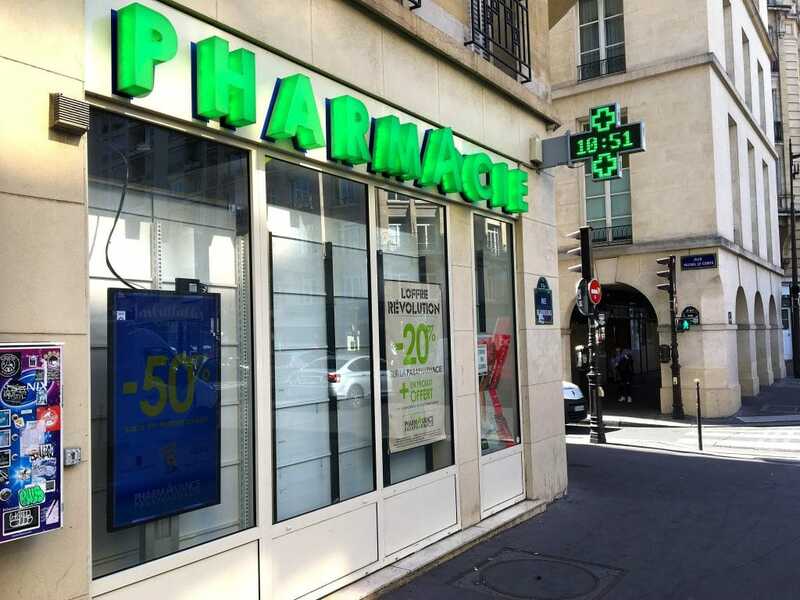 The two grocery stores with the most locations are City and Monoprix. If you’re into organic foods, there are natural food groceries throughout Paris. Bio c’ Bon has the most locations, but Naturalia is a bit larger. Finding a quick cup of coffee to go can be a little tricky in Paris. Every cafe makes espresso, cappuccinos, and lattes, but they rarely serve them to go. If you’re okay with spending an hour or more at a cafe every morning, you’ll have no problem. But if you’d rather spend your time exploring the city with your coffee in hand, you might need to search around a bit. 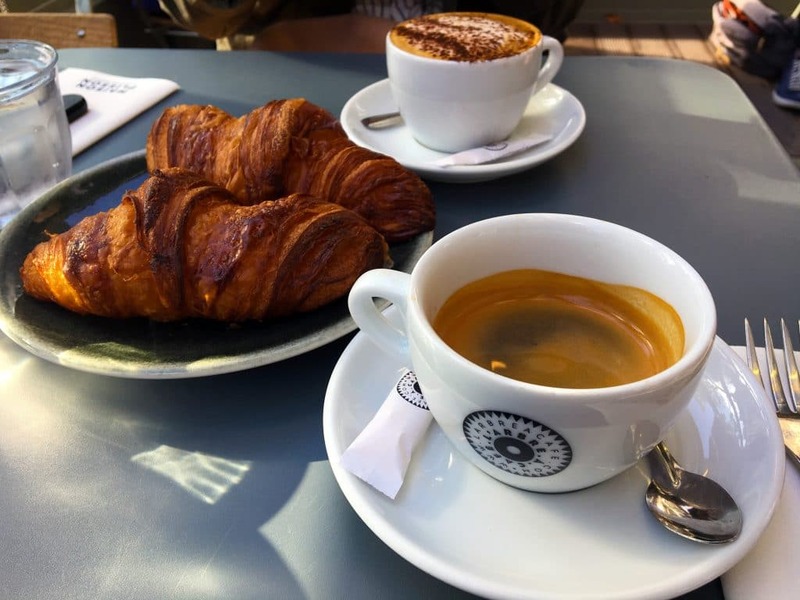 In Paris, coffee is meant to be enjoyed at a leisurely pace. Luckily there are Starbucks in Paris, where everything on the menu can be taken to go. If you want the closest thing to American brewed coffee, order a cafe filtre. It’s not always easy to see on the menu, but they should have it. Another option is to buy bottled coffee from a bodega or grocery store. They’re usually pretty sugary, but it’s a good last resort if all else fails. France is known around the world for it’s excellent wine, and in Paris you’ll have the chance to taste the best the country has to offer. Even in the most obscure cafes, the wine lists are top notch and very reasonably priced. Expect to pay around 4-5 Euros per glass. In French, wine shops are called cave à vins. 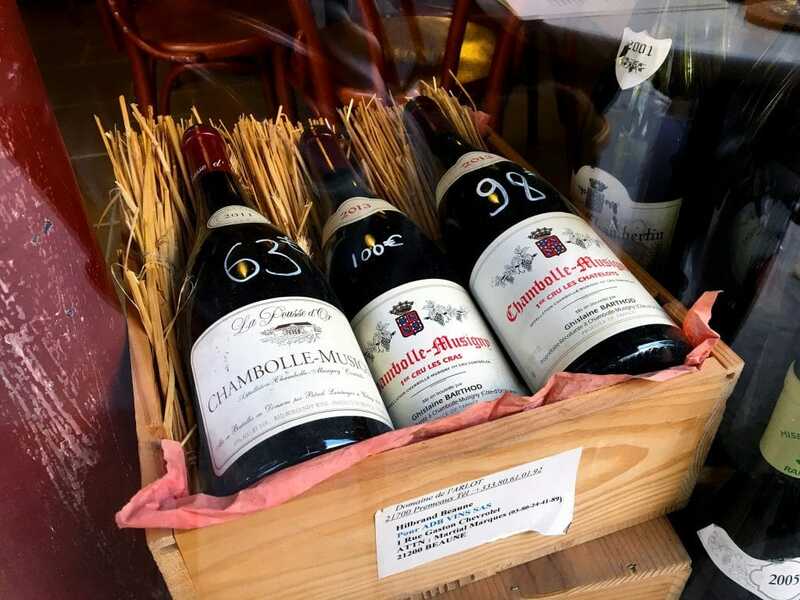 There are lots of specialist wine caves around Paris that sell high end Grand Cru bottles. But if you’re just looking for an averaged priced bottle, there’s a chain called Nicolas with around 150 locations around Paris. They stock a good selection of reasonably priced French wines, with bottles from other countries as well. When I visited Paris in 2001, most of the people I ran into didn’t speak or understand English. Today, it’s much different. Most Parisians know enough English that you can get by without speaking any French. However, it’s still a good idea to learn at least a few French phrases before you go. Take a Rosetta Stone course or take classes for a few months before your trip. It will be so much more rewarding to speak with people in their own language and you’ll get a lot more out of your trip. Where is the restroom? – Ou sont les toilettes, s’il vous plaît? Paris is a really big city, so walking from one part of town to another usually isn’t practical. Luckily there are lots of other ways to get around. 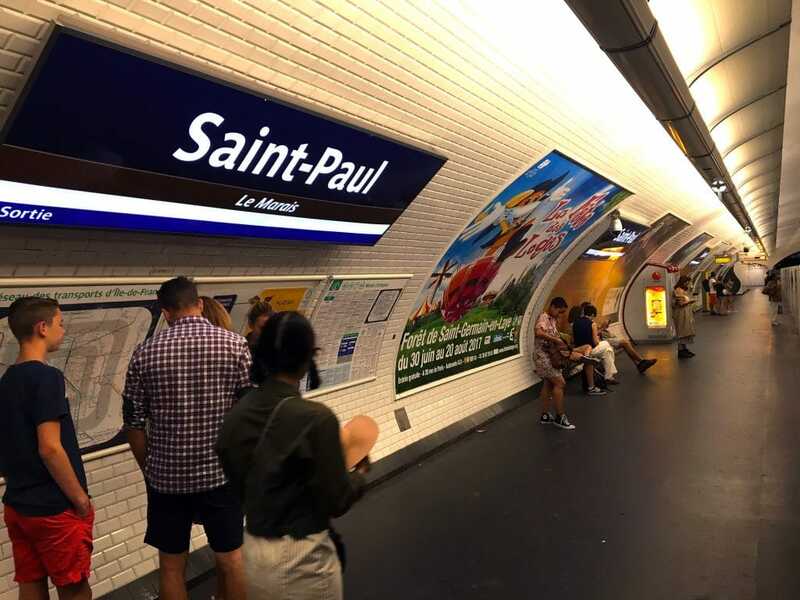 The Paris Metro, or Métropolitain, is an excellent option. It’s cheap, clean, and you can get almost everywhere in the city with it. If you put your destination into Google Maps, the Directions feature will show you which Metro stop and train number you need to take. Uber is probably the best balance of cost and convenience. They’ll pick you up from where ever you are and drive you directly to your destination. There are lots of drivers in Paris, and we never had to wait more than 5 minutes to get a ride. And the prices are similar to what we usually pay in the US. Taxis are another option, but they will be the most expensive way to go. But if you need a ride right away, there’s usually one close by. Then there’s Autolib, a self service car rental service similar to Zipcar in the US. 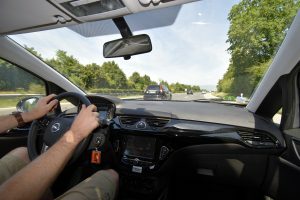 Rates are charged by the minute, so they’re ideal if you only need it for a short trip and not all day. The cars are electric, so you don’t have to worry about gas and they’re eco-friendly too. 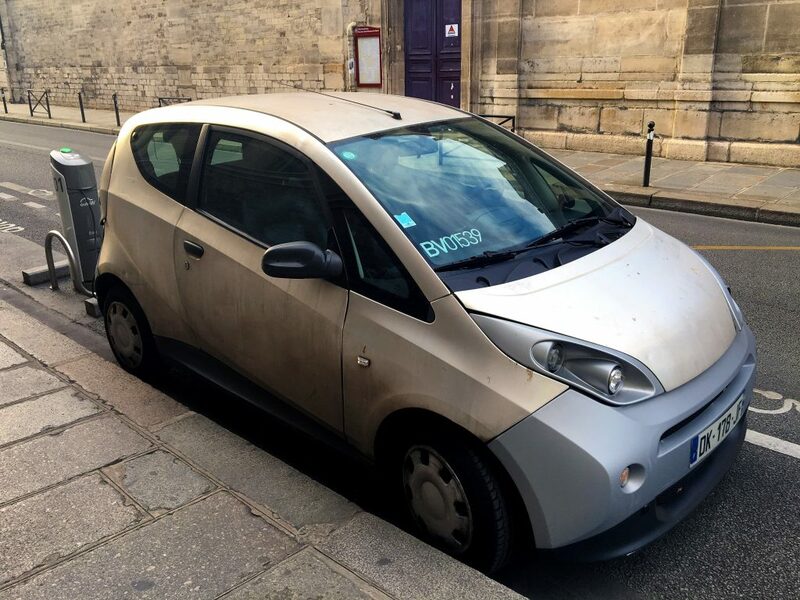 To rent one, sign up for a monthly membership on their website and you’ll be able to get a car from any one of their locations around Paris. In the summer, Paris is packed to the brim with tourists. August is the height of tourist season, since that’s when Europeans take time off from work to go on vacation. A lot of shops have reduced hours and some are closed on Mondays to give their employees a long weekend. All of the major attractions will be very crowded, so expect to wait in line for several hours if you want to see places like the Lourve, the Eiffel Tower, or Norte Dame. 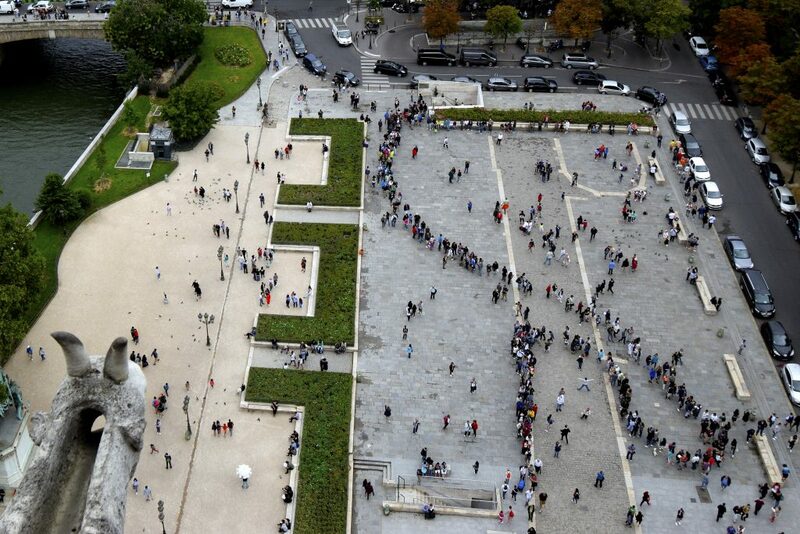 The long line into the Notre Dame Cathedral snakes around the plaza in August. If you’re visiting in the summer, your best bet is to have a back up plan if the lines are too long. 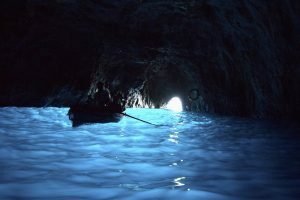 There are plenty of lesser known attractions to see that are just as amazing as the more popular places. For the best Paris experience, visit at a time when there will be fewer tourists. The spring and fall are probably the best seasons to go. The temperatures are mild and the crowds will be much more manageable.